Glen Oaks operates on a semester basis, with two 15-week semesters (fall and winter) and a summer session in which courses start and finish at various times. Students register for classes according to instructions published each semester in the Class Schedule as well as on our website. The schedule indicates general information on dates and times. Students register on campus or online through the myGOCC portal by completing the necessary registration forms and paying tuition and fees, or setting up a payment plan. Students are not admitted to class until they are properly registered. Any exceptions to this policy must be approved by the Registrar. 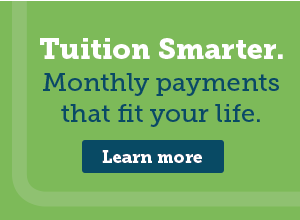 A full tuition payment is due as directed by the college’s payment procedure. Students must complete an Application for Admission, New Student Orientation, and participate in Placement Evaluation (exception may be granted) before their first registration will be processed. The registration period for all courses shall be determined by the registrar. Students desiring to take more than 18 semester hours during the fall or winter semesters must receive approval from an academic advisor. Those seeking permission to overload during a given semester should have an accumulated grade point average of 3.0 or better. A student who registers for 12 semester hours of credit or more in a given semester. A student who registers for less than 12 semester hours of credit in a given semester. Note: This may vary for veterans. Any student who has completed less than 28 semester hours of credit. Any student who has completed 28 or more semester hours of credit. No courses can be added by a student after 10% of the academic period has elapsed, unless there are documented extenuating circumstances and approval by the Dean of Academics. Students are not permitted to add a course if they have missed the equivalent of one week of instruction. A change in program is not officially recorded until an Add/Drop form has been completed and processed by the Registrar’s Office or Online. The date this form is approved by the Registrar’s Office or processed through Web registration is the date used to determine eligibility for a refund. It is strongly recommended that advice be sought from a counselor and or instructor before a schedule change is made. You can also view a list of the participating institutions along with links to each school’s home page, admissions sites, and transfer information. An application for graduation must be filed by each student for each degree or certificate he or she wishes to receive from Glen Oaks Community College. Determine if you are within 9 credits of completing (including classes you’re currently enrolled in). Check your program of study at the beginning of your last semester. If you plan to complete in the spring/summer term, make application in the winter term (starting with the previous January). There are counselors and advisers in Student Services available to help. Get an Application for Graduation from the Registration/Records Office in Student Services. You may also go to the Go-Zone and print off the application by going to Student Services, Registration and Records, then to the Document and Forms area, or see links below. Complete the Application for Graduation form. Submit completed form to the Registration/Records Office. Your credits will be evaluated by the Registrar to determine if all requirements have been met to complete your degree and/or certificate. Note: see “Catalog Affecting Credits and Graduation”. You will receive a letter from the Registrar indicating that you qualify for your certificate or degree or listing the credits or courses you still need to complete. You only need to apply one time for a particular degree or certificate. If you do not meet the requirements the semester you apply, notify the Registration/Records Office again at the beginning of the semester you intend to complete to re-activate your application. Graduation exercises are held once a year at the end of the winter semester for all candidates. Diplomas will be sent by mail to students satisfying all requirements. Second degrees will be awarded based on the catalog in effect at the time of enrollment in the new program and cannot be extended beyond four years. For a second Associate Degree, a student must complete a minimum of 15 additional credit hours beyond the first degree at Glen Oaks and achieve a 2.0 (C) grade point average for the additional credits. It is required that these additional credits be planned and approved in writing through a counselor. Written approval of the additional 15 credits must be forwarded to the Registrar’s Office in order to be considered for the awarding of the degree. Second or additional Certificates will be evaluated based on the catalog in effect at the completion of the second certificate. The Michigan Transfer Agreement (MTA) replaces the MACRAO Transfer Agreement and takes effect for students entering Fall 2014 or later. Students starting prior to Fall 2014 will be able to complete the existing MACRAO Transfer Agreement through Summer 2019, or they may complete the MTA requirements. The Michigan Transfer Agreement is designed to facilitate transfer from one institution to another. One of the guiding principles of the agreement is to promote transparency among institutions and ensure accurate transfer information for students. The thirty credit hours of lower-level general education from the sending institution will be accepted as a block of 30 credit hours by the receiving institution. Students may complete the Michigan Transfer Agreement as part of an associate degree or as a stand-alone package. At least one of the natural sciences will be a laboratory course. Mathematics is included in the natural science category. Courses will be taken in more than one academic discipline. Social Science (8 semester hours) Courses will be taken in more than one academic discipline. Humanities (8 semester hours) Courses will be taken in more than one academic discipline. Any student who officially drops a course or courses during the registration period and during the first 10 percent of the academic period may, upon application, receive a full refund of 100% for the tuition and fees. No refunds of tuition and fees will be made for withdrawals after the first 10 percent of the academic period. Students who registered for a course that is cancelled by the college will be refunded all tuition and fees relative to the cancelled course. A written request for refund on one of the circumstances shown below needs to be submitted to the Business Office for a full refund of all tuition. This request will be reviewed by the Refund Review Committee, consisting of the Registrar, Senior Accountant and Director of Financial Aid. The decision of the committee determines the refund approval or denial. Induction or activation of the student into the U.S. Armed Forces. Death of the enrolled student or a parent, spouse or dependent. Verifiable incapacity, illness, or injury to the student which prevents the student from returning to school for the remainder of the semester. Glen Oaks Community College has authorized the National Student Clearinghouse to provide transcript ordering via the Web. You can order transcripts using any major credit card. Your card will only be charged after your order has been completed. To order an official transcript(s), please visit the National Student Clearinghouse website.